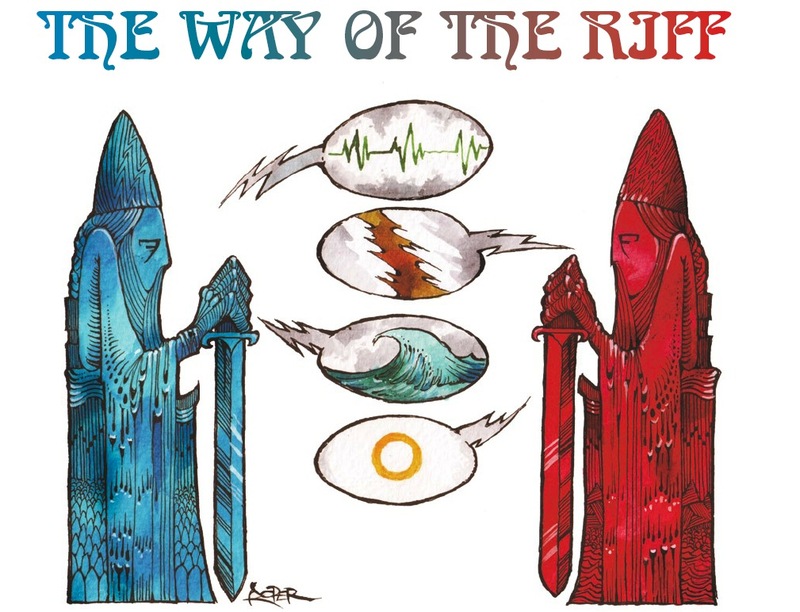 The Way of The Riff: Contemplators Ben Chasny (Six Organs of Admittance) and Al Cisneros (Om) discuss roots, rock, rhythm and chess. Originally published in Arthur No. 27 (Dec 2007). My favorite story about Om, the bass and drum duo of Al Cisneros and Chris Hakius—the rhythm section of now defunct drone metal icons Sleep—takes place on the back patio of Los Angeles club The Echo. It’s a cool winter night in 2007 and we’re all gathered here—hippie goners, young punks, indie rock squares—to take in a few breaths of fresh air before the band takes to the stage inside. One group stands out from the crowd: two women and a guy who are having a whale of a time, gesticulating wildly and laughing like crazy. At one point the dude approaches a hipster who’s nervously dragging on a toothpick joint. Our man offers his flask to the young fellow and a confusing exchange takes place: I can tell that he’s looking to swap quaff for toke, but for some reason he’s having trouble communicating this. I catch on about the same time the stoner does, giving up the doobie to the guy and his gal pals: They’re deaf, this happy trio of Om heads. That’s how deep the band’s sensual, mantra-like music goes.